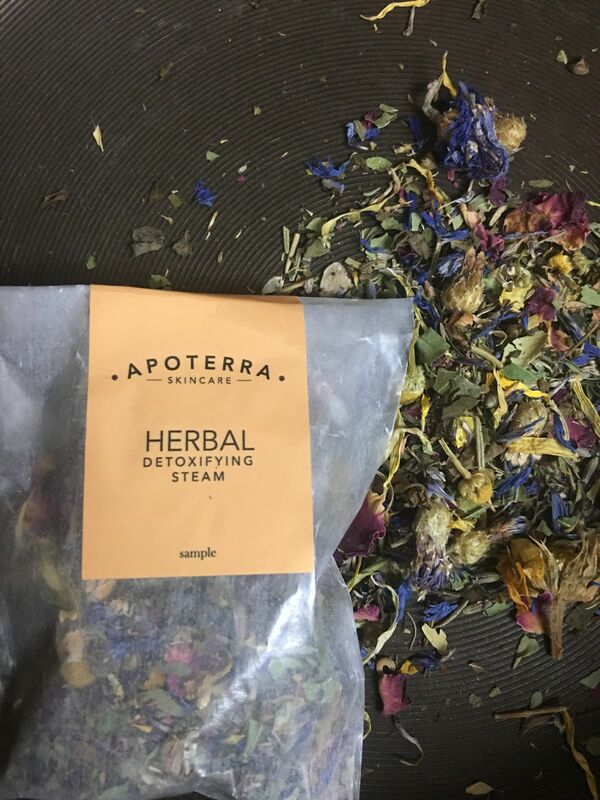 Treat skin to an indulgent herbal steam, full of beautiful, colorful flowers and deeply purifying aromatic herbs that cleanse and nourish the skin while calming and soothing the soul. The gorgeous red rose, yellow calendula and blue cornflowers will open up in water, creating a gorgeous abstract botanical “painting”. Using this facial steam will open pores, facilitating the release of impurities, while simultaneously nourishing and hydrating the skin. For best results, follow immediately with a mask. Cornflowers // Vibrant blue flowers that can have soothing and anti-inflammatory properties. Calendula // A skin savior, this yellow flower has antibacterial, anti-inflammatory and protective antioxidant properties, making it an effective yet soothing home remedy for acne, and dehydrated skin. It is a cooling herb, used to support healthy skin and heal minor wounds. Rose Petals // When used in skincare products, rose petals work as an antibacterial and contains antioxidants to protect skin from aging environmental stressor. Tulsi // This sacred Ayurvedic herb is considered to be a goddess, mother medicine of nature, incarnated in plant form. While the plant looks similar to basil, it has an intoxicating aroma that resembles a blend of cinnamon, peppermint, clove, basil, and licorice. It is considered to be a balancing and grounding herb, that works wonders on many types of ailments. The essential oil found in the leaves has anti-inflammatory, analgesic, and adaptogenic properties — both stimulating or sedative, depending on what your body needs. Peppermint // The high menthol content in peppermint not only contributes to its cooling effect, but works as a stimulant to increase circulation. It’s also an anti-inflammatory and helps clear energy. Lemon Verbena // The invigorating lemon scent that comes from these leaves are due to its citral and geraniol content. On skin, lemon verbena supports healthy skin flora and can help tone, firm and freshen a complexion. Bring 4 cups of water to a boil. 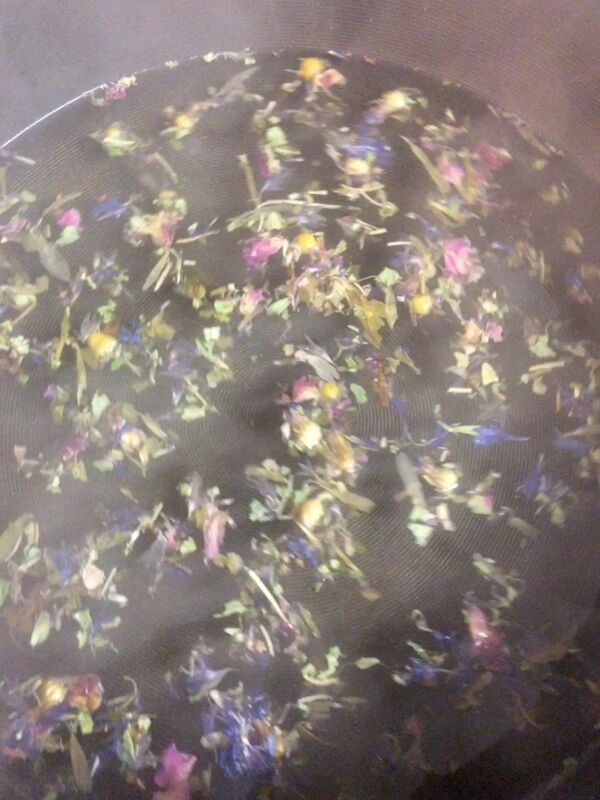 Place 1-2 TBSP of the herbal blend in a large bowl. Pour steaming water over the herbs. Position face over the bowl and cover with a towel to seal in the herbal steam. Remain over steam with eyes closed for 10-15 minutes. Inhale, breathe deep, soak in the soothing aroma, and enjoy a few moments of serenity, For best results, follow with a mask. Steaming is not just about skin care, it is also about self-care. Before steaming, take a moment to prepare your space for comfort. Dress in some comfy clothes, drink plenty of water, and turn off your phone. Set up the steam in a comfortable place and turn on relaxing music if you wish. Settle into the steam and take this moment, while the steam is working, to decompress and be in the moment. Take a few deep breaths, and thank yourself for taking the time to take care of you. 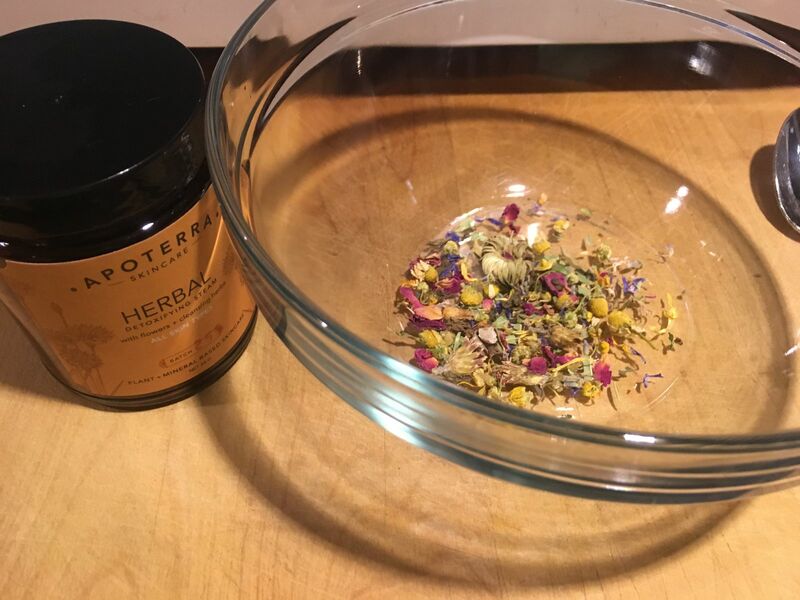 Bonus: Get the most out of your steam by mixing the herbal water created by the steam with a clay mask such as our Activated Purifying Mask and/or adding it to bath water. I feel so fancy when I use these herbs! Amazing scent that really makes a facial steam more enjoyable. Sometimes I struggle to sit with the steam for a long time but the scent and watching the flowers float around is nice. I don’t know if it does much more than steam from just plain water but I do like to use the water as the liquid part of homemade face masks. Very calm and relaxing, and I think it does a nice job getting my skin ready for the Activated Purifying Mask. I use this twice a week in conjunction with the Hibiscus Exfoliating Mud. It smells wonderful, and the whole process is so relaxing. My skin feels so soft, and I have seen a definite reduction in my acne. Wonderful for the body and soul! If nothing else it was very relaxing. Nice smell and felt like a nice setup for my mask afterwards.